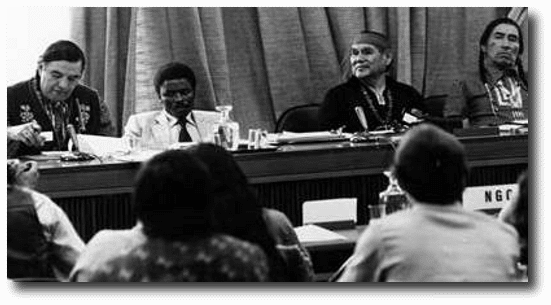 The first meeting of the United Nations Working Group on Indigenous Populations on August 9th, 1982 in Geneva. The WGIP was the first body in the UN system focusing specifically on Indigenous Peoples. One of its mandates was standard setting, and it produced the first version of the UN Declaration on the Rights of Indigenous Peoples.